Who doesn’t love snacks? I know I do, so you might be able to predict that some of my favorite subscription boxes are for snacks! 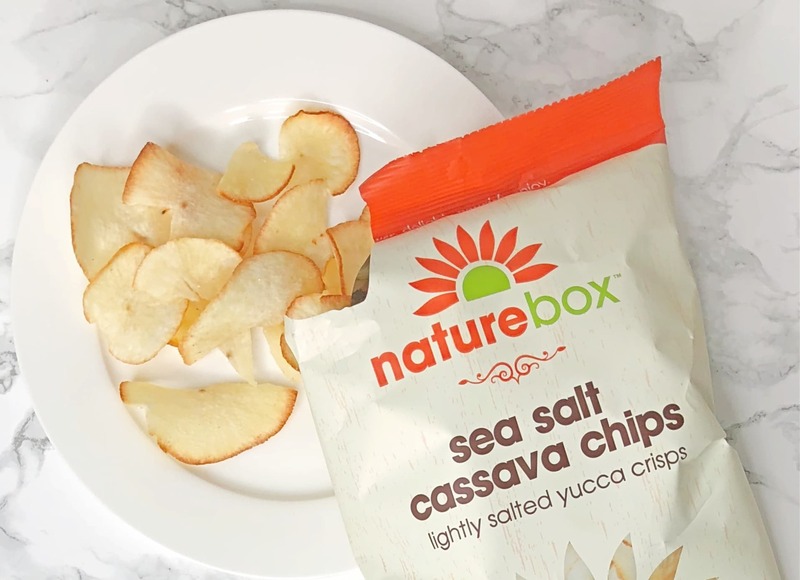 NatureBox is one that I recently subscribed to and have been loving. They offer a variety of healthy, delicious snack options. Plus, their flexible subscription can fit anyone’s budget. 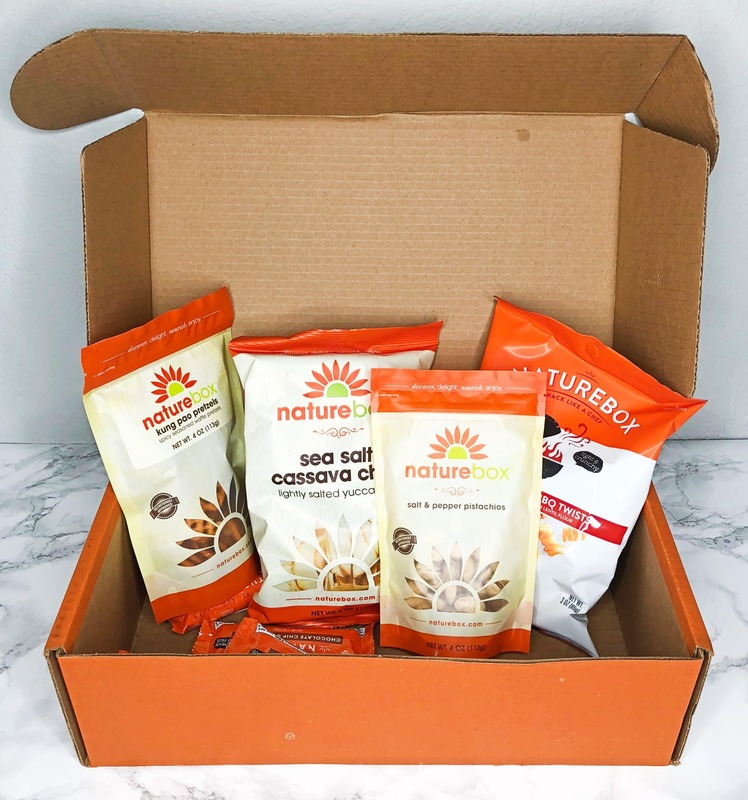 This NatureBox review shares how it works, a few of the snacks I received this month, how you can get a free trial, as well as free snacks, similar subscriptions, and more! To start off, NatureBox isn’t like most other subscription boxes. Rather than charging you monthly, their membership costs only $30 per year. As a member, you get access to cheaper member pricing, plus you get a $5 credit each month to spend on snacks! So over the course of a year, you’ll actually receive a total of $60 in snack credits ($30 for free). 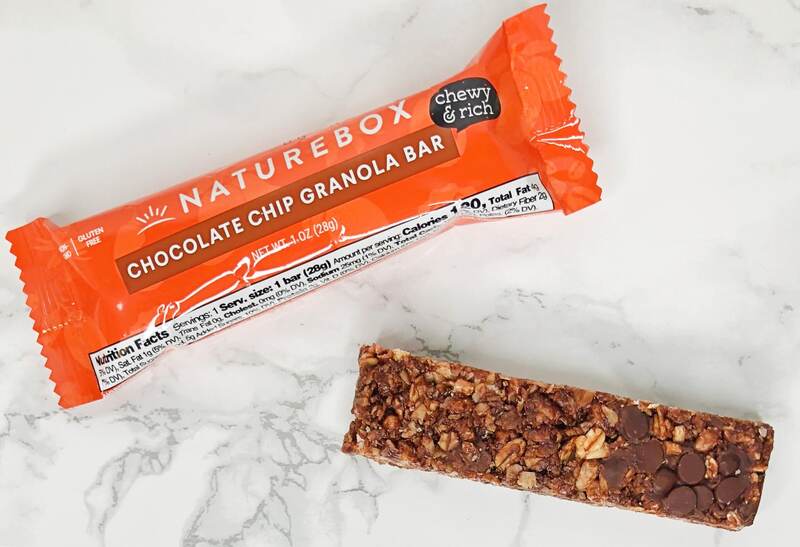 One of the largest benefits is that NatureBox is extremely flexible. You can schedule shipments on your own, spend as much money as you’d like, and purchase snacks whenever you want. Your monthly credit rolls over to the next month if you decide not to purchase anything. You can spend as much or as little as you’d like, and shipping is free with $25 orders. Plus, you can set up recurring shipments. My fourth shipment arrived soon after placing my order. 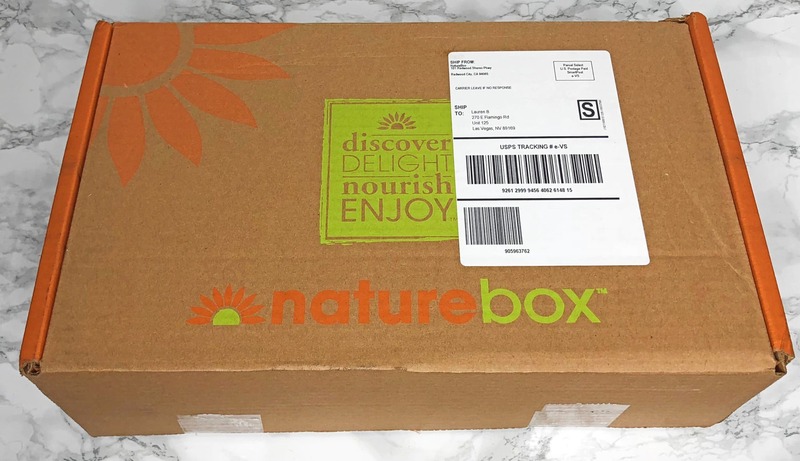 It came in the typical brown box with NatureBox branding. Before I get into the snacks, one thing I love about this subscription is that they offer so many different types of snacks and even have good options to fit specific dietary preferences (such as vegan and gluten-free). I chose five different snacks this month. A couple of these were ones I had already tried and a couple of them were new. That said, I’ll be reviewing each snack I received below! I got a few of these in one of my previous NatureBox shipments, and I absolutely loved them, so I had to get some more. They’re delicious chocolate chip granola bars. There are only 120 calories and 4g of sugar in each bar, which is surprising because they taste very sweet. I chose the 6-pack, but they also offer single bars or a 12-pack. 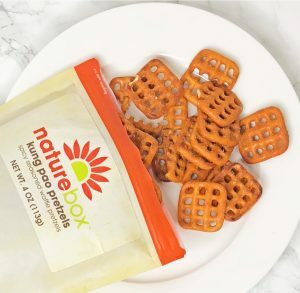 I’ve added at least one bag of these to every Naturebox order I’ve placed so far—they’re just so good! They have less oil and salt than regular potato chips and feel much lighter. I love this because regular chips make me feel sick. They’re also made with lentil flour, which makes them gluten-free. This barbecue flavor is very tasty! I love pistachios. I usually buy unshelled ones because it’s a hassle to take the shells off each one, but they didn’t have this option. The salt and pepper seasoning was a delicious addition. These came in a fairly large bag for only $4.49. Pistachios are usually pretty expensive, so this was a good deal! In my last box, I tried a bag of salt & vinegar veggie chips. They were pretty good, but I liked these a lot better! Plus, these have less fat and three times the fiber of a regular potato chip. They also have just 120 calories for 18 chips. They’re made of cassavas rather than potatoes, but there’s no difference in texture. I was glad that they weren’t too salty either. Pretzels are another one of my favorite snacks!. These had “kung pao” seasoning on them, which was amazing! It gave them a bit of spiciness that I loved. The bag was pretty large and reasonably priced as well. 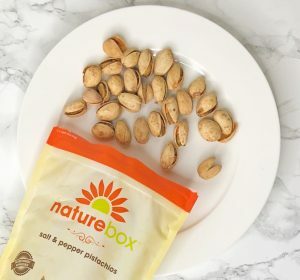 NatureBox is one of the most generous subscription boxes when it comes to saving money! For one, they offer the ability to try out their subscription for 30 days before they charge you for the yearly membership. In addition, you can get $20 in free snacks by signing up with this link! Their pricing isn’t that expensive either, so you’ll be able to try out a few different snacks. Since shipping is free at $25, you could either spend $5 to get more snacks or let the credit pay for shipping (this means you’d actually get around $16 of free snacks). Either way, it’s a great deal. Additionally, their yearly membership actually earns you money! As I mentioned in the beginning, it costs $30 per year, but they give you $5 each month to spend. Over the course of 12 months, you receive $60 in credit—which is $30 for free! 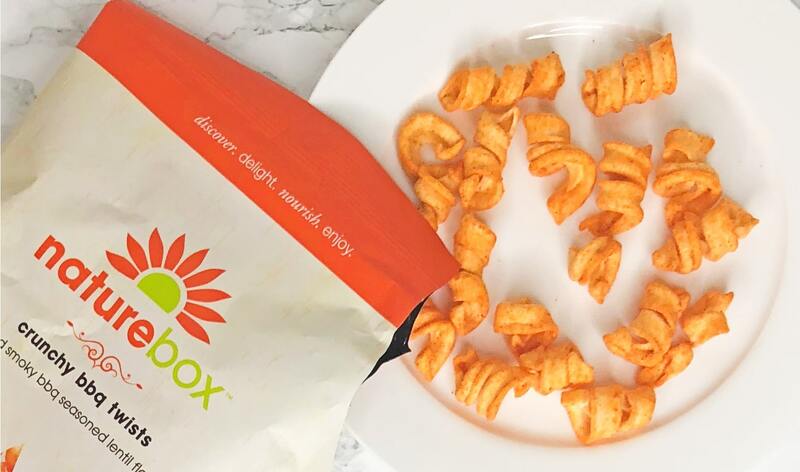 If NatureBox doesn’t sound like your cup of tea, you’ll be glad to hear there are many other snack subscription boxes to choose from! 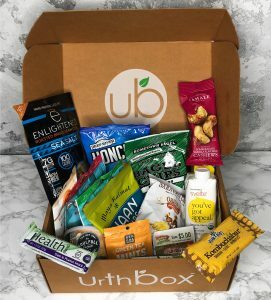 Urthbox is another snack box that I subscribe to and have really enjoyed so far. They provide a variety of different brands to try out rather than just one brand. Plus, they offer vegan, gluten-free, low-calorie, or classic boxes. They also have four price points to choose from that range from $19.99–$39.99, so there’s bound to be an option to fit both your diet and budget! They offer a free bonus box to every new subscriber. Another popular subscription that provides healthy snacks is Graze. Their boxes contain eight snack packs that are portioned into the perfect serving sizes. These are portable and easy to keep track of so you don’t overeat. They have nearly a hundred different snacks, which are all made by their own brand. Plus, you can get a trial box for free, as seen in my Graze reviews.